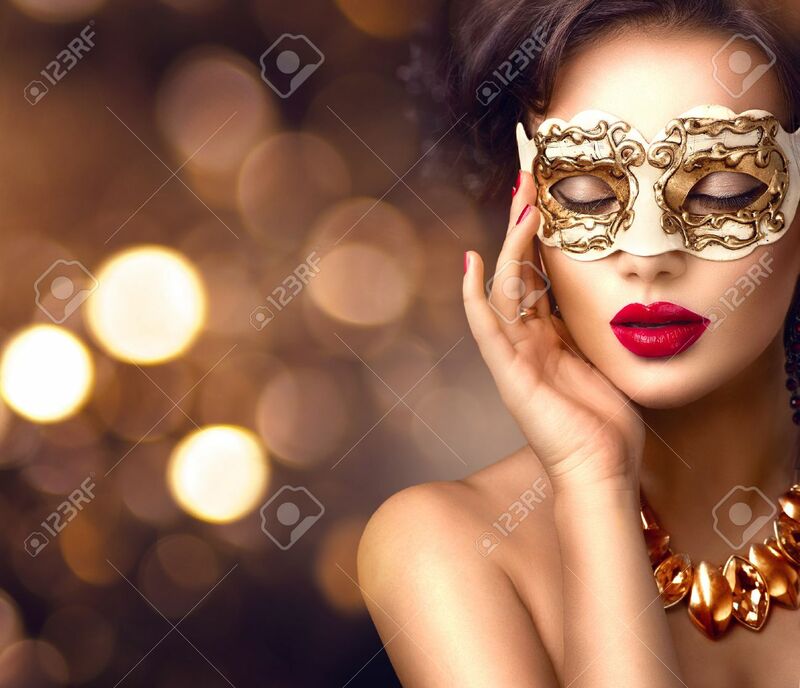 Beauty Model Woman Wearing Venetian Masquerade Carnival Mask At Party. Christmas And New Year Celebration Banco De Imagens Royalty Free, Ilustrações, Imagens E Banco De Imagens.. Image 66532045.